–I always thought that when he was on stage with the Rolling Stones at LiveAid, it was a real missed opportunity to do “Like a Rolling Stone.” Maybe he thought it was too obvious. 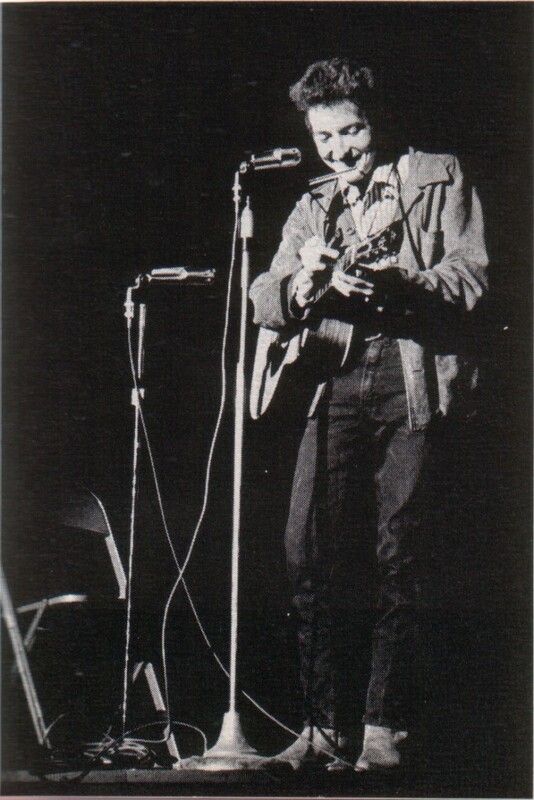 –Dylan is really good at writing songs that other people can sing and make something totally different of. I always like Hendrix’s version of “All Along the Watchtower,” for example. I never thought that about the LiveAid concert. Dylan for sure doesn’t like obvious, except for when he does. (You know, that old double fake-out thing). -I completely agree about Dylan interpretations. There are so many of them and Jimi’s is the classic example. I remember reading that Dylan liked that version better than his own. -And “Subterranean Homesick Blues” was the start of music videos! Great choice for the prize! I’m happy he won, too. His lyrics have influenced and inspired a generation ( or two or three). I KNEW you’d be happy, Barb. Oh, a kindred spirit! Thanks for passing along that link, Barb!